Not Here, Not Now, Not That! In the late 1990s Angels in America,Tony Kushner’s epic play about homosexuality and AIDS in the Reagan era, toured the country, inspiring protests in a handful of cities while others received it warmly. Why do people fight over some works of art but not others? Not Here, Not Now, Not That! examines a wide range of controversies over films, books, paintings, sculptures, clothing, music, and television in dozens of cities across the country to find out what turns personal offense into public protest. What Steven J. Tepper discovers is that these protests are always deeply rooted in local concerns. Furthermore, they are essential to the process of working out our differences in a civil society. To explore the local nature of public protests in detail, Tepper analyzes cases in seventy-one cities, including an in-depth look at Atlanta in the late 1990s, finding that debates there over memorials, public artworks, books, and parades served as a way for Atlantans to develop a vision of the future at a time of rapid growth and change. 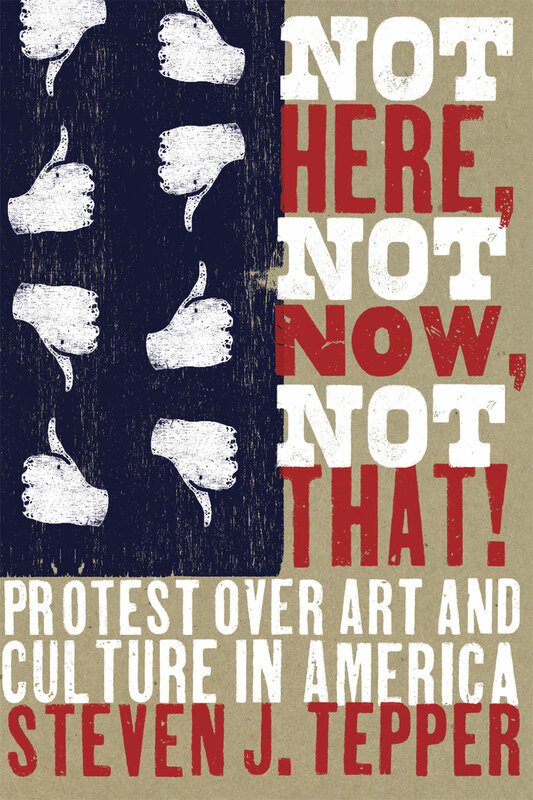 Eschewing simplistic narratives that reduce public protests to political maneuvering, Not Here, Not Now, Not That! at last provides the social context necessary to fully understand this fascinating phenomenon.